Uwe Westphal is the author of the novel Ehrenfried & Cohn, which is now available in English. 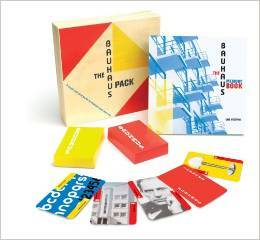 His other books include The Bauhaus and Berliner Konfektion und Mode. 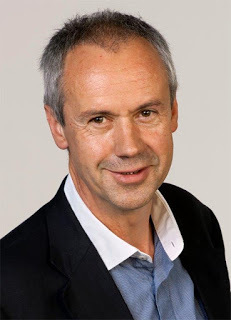 He is a journalist and TV producer, the founder of the Uwe Westphal Collection at the Leo Baeck Institute in New York, and managing director of Newest Productions, Ltd., of London and Berlin. Q: You have a new English-language edition of Ehrenfried & Cohn out now. Why did you decide to publish the book in English? A: Two reasons for an English-language edition of Ehrenfried & Cohn – Goodbye, Berlin - The Last Fashion Show. 1. My novel was published in 2015 in German. I then started receiving feedback from people in the U.S. and U.K. Far more, surprisingly, than I had ever had from readers in Germany! They were all asking me when the book would be published in English. 2. Interest in the topic. 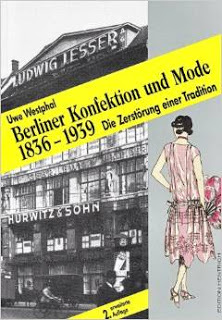 I was left in no doubt that books about the Nazi period - particularly during the era when the Third Reich confiscated Berlin Jewish fashion firms and their properties - fascinated audiences abroad more than in Germany. I believe this is explained by the fact that the German fashion industry as a whole has failed to admit publicly their involvement in this shoddy past. For example, the history of Hugo Boss and C&A reveals they were involved in confiscating Jewish-owned companies as well as playing an active part in slave labor camps under the Nazis. Altogether, I had no hesitation in embarking on an English- language version of the novel. Q: Can you tell us about the process for publishing the book in English? A: Finding a translator was quite easy as there are now so many new, online, translating services. I was lucky that KickWords in London put me in touch with a very experienced U.S. translator of historical novels. However, there were severe time pressures as I had been invited to do readings of the novel by the Goethe Centre in Atlanta, Georgia, as well as the Georgia Commission on the Holocaust. Given the ebook deadlines imposed by Kindle/Amazon, the entire translation of 200 pages had to be done within four weeks. The number of confiscated Jewish fashion firms amounted to 2,400 in Berlin alone. 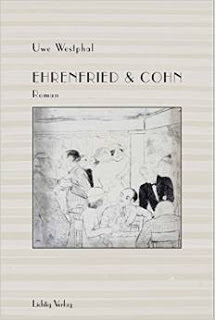 The story of Ehrenfried & Cohn is representative of the many brutal expropriations during the Nazi years. Necessarily, the process of describing what happened in a fictional setting meant focusing on background details that English-language readers needed to know in order to understand the historical context. In other words, I had to go through every translated chapter word by word and check the content. It reminded me of the Sofia Coppola movie Lost in Translation, with Bill Murray and Scarlett Johansson. There are some words, particularly in Berlin slang, which are simply impossible to translate into English. I felt sometimes as if I live in two different worlds – or perhaps between the two! Indeed, in close collaboration with the translator, I had to slightly change the content in a few chapters. But nothing vital has been lost and the translated version is essentially the same as the German novel. As with the factual book on the same topic, which I wrote in the 1990s (Berliner Konfektion und Mode: Die Zerstörung einer Tradition 1836-1939), again, this time I have received feedback from New York City, Washington, San Francisco and even New Mexico. 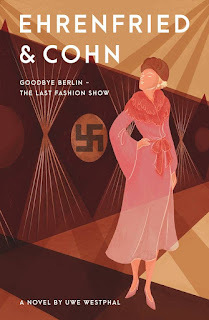 Family members of former Jewish Berlin fashion designers, whose parents or grandparents had to emigrate between 1933 and 1939, have been in touch with me – proving that the novel has revitalized this aspect of history. My 12 book readings and panel discussions in Atlanta, particularly at schools and the fashion design departments at CLARK and SCAD Universities, were a great success. Altogether 620 visitors came to hear the story – achieved with the help of the Georgia Commission on the Holocaust and the Goethe Centre in Atlanta. I’m still looking for a U.S. hardcover publisher of my novel and – even better – a movie producer to take on this gripping story of Ehrenfried & Cohn. --Interview with Deborah Kalb. For a previous Q&A with Uwe Westphal, please click here. I used to translate myself and can't imagine the pressure of translating a 200-page book within four weeks. Kudos to the author for checking everything so thoroughly. He's right -- there are some expressions nearly impossible to translate. Thanks for commenting, Ann Marie--I can imagine that it would be really difficult!